Christmas festivals have become big business in London in recent years. Often, they don't have much to do with Christmas itself, save a few token paper snowflakes and a Santa's grotto tucked away in the corner. 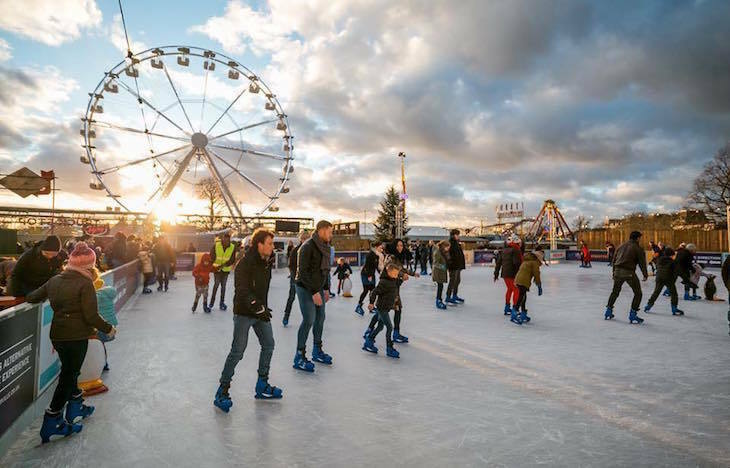 Instead, we've come to expect funfairs, ice rinks, street food, pop-up bars, theatre and circuses and more appearing in London's parks as winter sets in. For some it's heaven, for others, it's hell. If it's your thing, here's a guide to the Christmas 2018 festivals in London, including two which are new for this year. 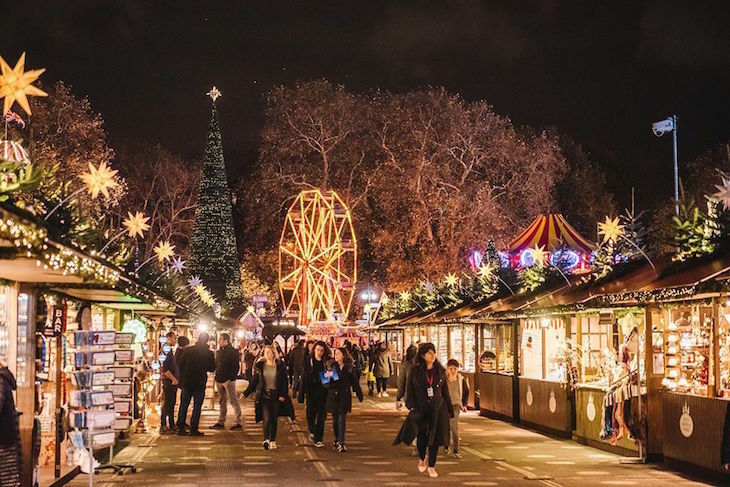 If it's just the shopping you're after, take a look at our guide to the best Christmas markets and fairs in London this year. The pedestrianised area in the centre of Leicester Square is flooded with wooden chalets, food stalls and twinkling lights. It's completely free to enter the market area and browse the stalls, in the shadow of that Shakespeare statue. 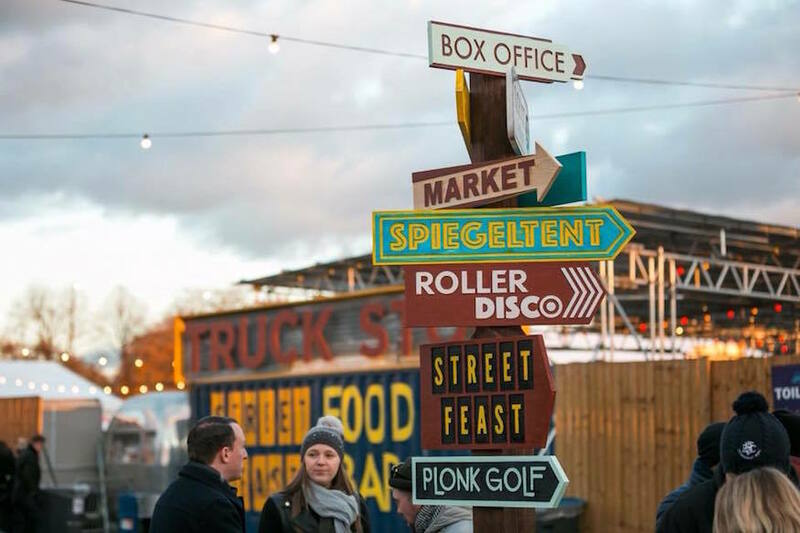 Having roamed east London for a couple of years in an attempt to position itself as a trendier Winter Wonderland, Winterville headed south to Clapham Common last year and returns there for 2018. 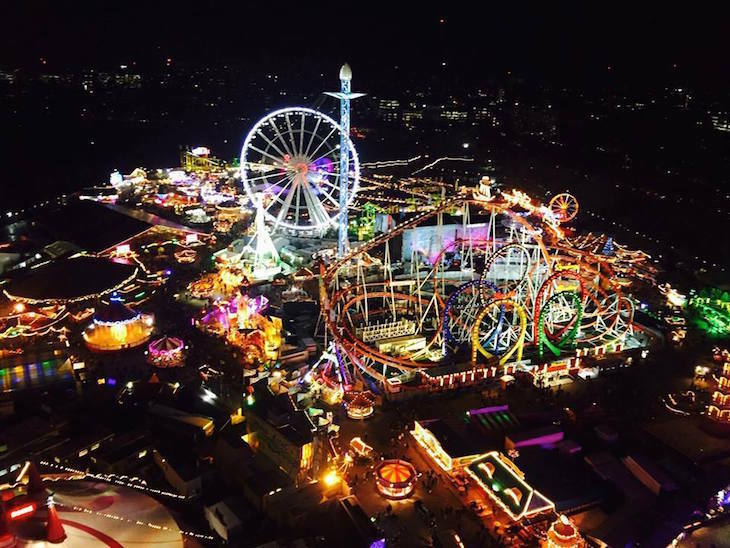 Many of the attractions are similar to those at Hyde Park's Winter Wonderland; ice rink, fairground rides, circus show, food stalls. But there are a few nods towards its younger, trendier audience, rather than the families that flock to Hyde Park. Think roller disco, crazy golf, and an 18+ puppet show. Many of the attractions are only open Thursday-Sunday (reflected in the varying entry prices) so pick your day carefully. 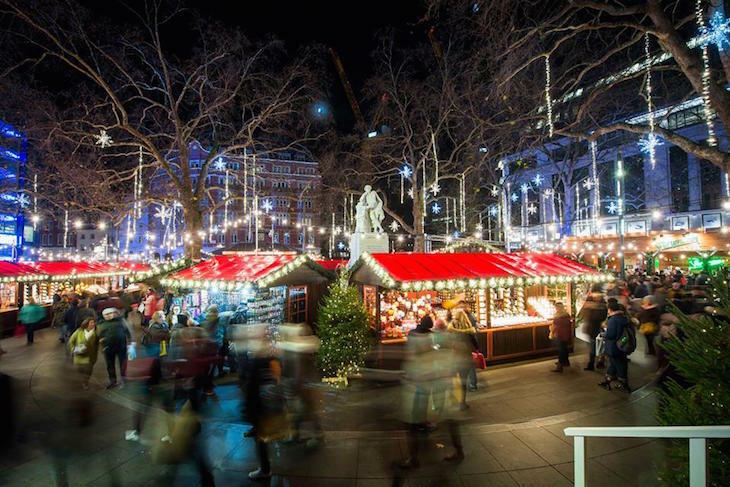 It's also home to one of London's largest Christmas markets, and plenty of food and drink stalls. You could easily spend a day here (not necessarily a cheap day...) especially with kids, and if you go to just one Christmas festival in London, it should probably be this one. That said, avoid evenings, weekends, and the days immediately before Christmas — it gets rammed. Parents may be interested to know that it has the only (that we know of) free Santa's Grotto in London. For the few quid you save, you'll pay with your time — queues can sometime be hours long. You've been warned. Part lantern festival, part Christmas festival, Alice in Winterland is a new addition for 2018. Head to Burgess Park to wander through scenes from Alice in Wonderland, recreated in lantern form, including a chess board. Then eat alongside characters at the Mad Hatter's tea party (a street food festival), before visiting Santa in his grotto. UPDATE 21/11/18: Parts of this event, including the ice rink and bar, have been cancelled. The German Christmas market is still expected to go ahead. 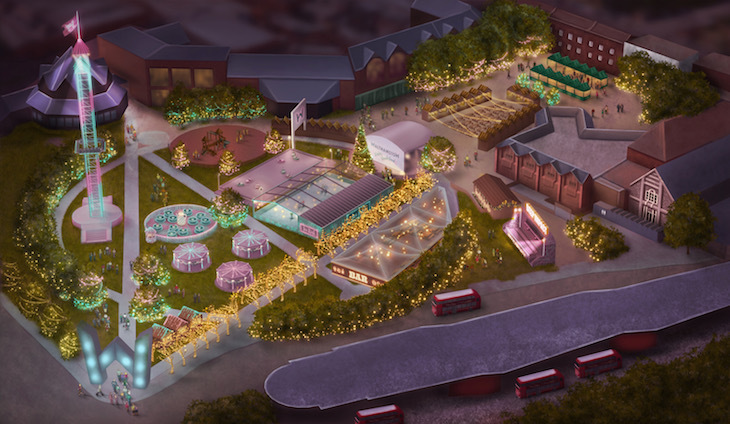 In advance of Waltham Forest becoming London Borough of Culture 2019, it's getting its own Winter Wonderland in Walthamstow. We're not sure how they're getting away with the name, as it's not affiliated with the other Winter Wonderland, but it is what it is. It pops up in Walthamstow Town Square Gardens, and offers a strong checklist of the Christmas festival basics. Ice rink? Tick. Santa's Grotto? Tick. Amusements? Tick. Street food? Tick. Market stalls? Tick. Organisers claim they're expecting 40,000 visitors a day... we'll see. Find more festive things to do with our guide to spending Christmas in London, including Christmas markets and fairs, ice skating rinks and light festivals.